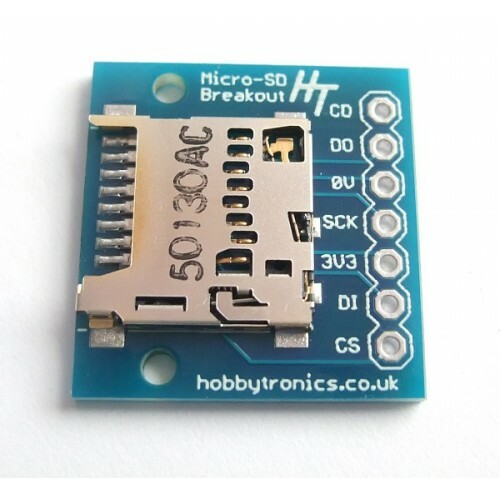 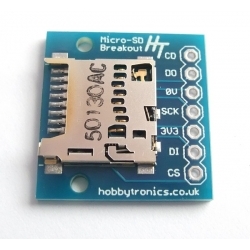 This Basic Breakout Board for microSD Transflash is a simple breakout board for microSD Fash Drives. 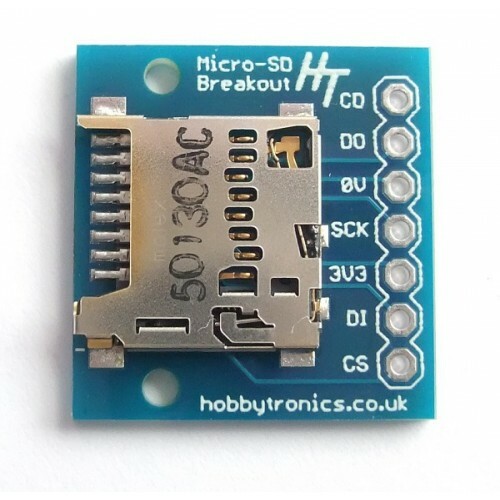 Compatible with the SPI interface found on any SD card. 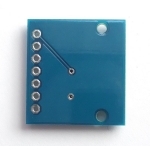 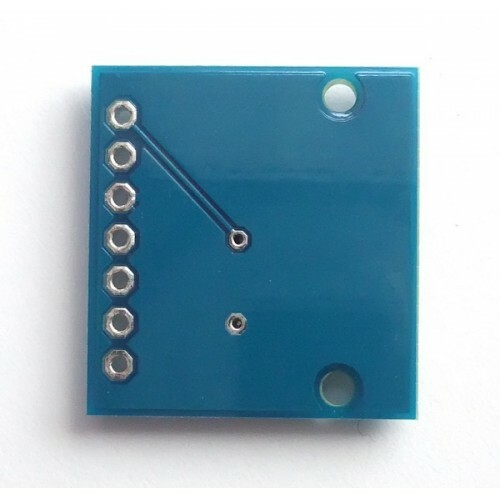 Board comes fully assembled and tested and includes two mounting holes for M2 sized screws.